What if rich kids don't test better because their schools have more tax dollars to work with, but because their parents are smarter than most? Ever consider that's why they're rich? When was it established that all rich people are smart? (sigh) accept the generalization, knowing that there is assuredly a strong correlation between wealth and intelligence. I'm still not there. That's a big generalization to just accept. There are a lot of wealthy people who've never applied themselves. There are a lot of poor people who are very naturally gifted, intellectually. I can buy the claim that wealth exposes you to more opportunities, career-wise, and in terms of higher education, but when it comes to children's test scores...are there statistics that show that the majority of rich kids are genetically smarter? There are more ways to accumulate wealth than with just intelligence. ah ok, sorry. i thought your hold up was something else. i needed to give more background. So, Naperville kids typically score near the top in the state. And some people are coming to the conclusion that it's because Naperville schools have better funding, because Naperville is one of the wealthiest districts in the state. That logic ignores the fundamental fact that kids have different genetic dispositions for learning. The reason that smart districts just happen to be rich districts is largely because smarter parents are able to get higher-paying jobs than others. Some of the best funded schools have the lowest scores. I've heard D.C. spends more per student than any state and does very poorly on standardized tests. Throwing more money at schools doesn't make kids want to learn. "That logic ignores the fundamental fact that kids have different genetic dispositions for learning. The reason that smart districts just happen to be rich districts is largely because smarter parents are able to get higher-paying jobs than others." my wife gave me grief for this post, too. i intentionally abbreviate my posts to quickly provide you with thought-provocation for the day. In this case, the abbreviation of my idea made it seem like I was ignoring the failings and bias of current testing standards, among other important factors. But I was merely bringing up an ADDITIONAL factor that I believe to be huge, that no one seems to think about when having this discussion, and voting for new budget distribution measures. I'm less concerned with testing, standards, etc and more concerned with equating well educated with "smart." 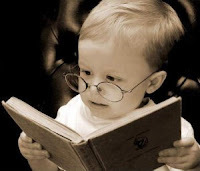 The children of rich people perform better (forget about how the achievement is measured) not because of genes, but because their parents read to them when they were infants, used more words and bigger words around the house, provided high quality prenatal and pediatric care, etc. This translates into a tremendous academic advantage before their children even step into a classroom. Then compound that with years of higher-quality schooling, summer enrichment camps and private tutors among the rich kids and you've got trouble. Moral of the story is that none of this has to do with genes. An additional note, while there's definitely no consensus, lots of people do talk about this. In fact, it's well documented that financial inputs into _schools_ are only loosely associated with academic outputs (similarly, smaller class sizes - which cost more money - are rarely associated with higher achievement). (Many) education policymakers believe money isn't the answer, but securing money for local schools remains a great talking point for politicians so it remains a reform strategy. Additional money for early childhood education, health care, out-of-school literacy, etc, though, might make for a different story. Final caveat, more money is often required for poorer districts for infrastructural reasons but that's a different conversation. Reasons include higher transportation costs (busing in poorer rural and urban districts) and costs associated with carrying out legal obligations for special education and english language learner students who disproportionately attend poorer districts. i love all of your feedback. if you read "freakonomics" and gladwell's new book "outliers", you get very confusing messages in terms of the relation between nurture/nature. that's still where i'm at. For a different perspective than that of Freakonomics, you might try the book Savage Inequalities by Jonathan Kozol. You might also watch HBO's The Wire, Season 4, which focuses on kids in the Baltimore City School System. Both show the structural inequalities and environmental challenges faced by kids in poor and violent neighborhoods. i remember buying "savage inequalities" for my sister one christmas...did i just break through the anonymous barrier? Ha, I love the topics you throw up when you are tired of no one responding to your posts. I have noticed a trend of circular logic topics in your blog lately though, although I'm too lazy to cite the titles. This is what you get when you have an education PhD (or whatever it is Ed. D., ADD, sorry...I'm not rich)reading your blog though. Nice responses Chris...I concur. again, i regret not offering a prerequisite listing off all of the factors that are integral in this discussion. i just wanted to add a new one that no one seems to consider. i should have been more clear. ok, i rewrote the post. any better? How am I the only reader who doesn't know the identities of all the other readers?! chris, bobby teenager and any other bob-suffix is Bob Maher. anonymous is usually a girl named Emily at my work when she doesn't want me to get mad at her. The Great I'm Not is Erik Iverson, one of Sean Carter's highschool friends who lives near me now. micah was a random stumbler. Actually, this is your sister signing on with Tona's ID. Good detective work, my cover is blown. Yes, that was me recommending the book and The Wire. And my husband was the Albert Einstein, etc. post. Both were our first posts on your blog. both of your opinions are very welcome and appreciated here. i apologize for this week. it's definitely been an off week for me. i will try and be more specific and thoughtful in the future.